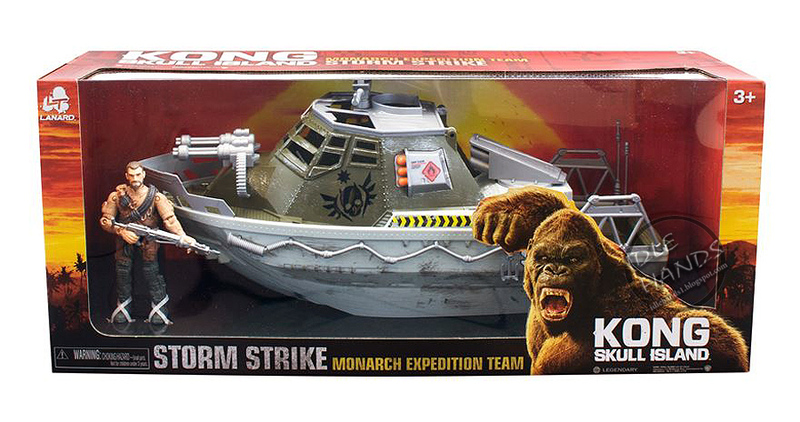 Kong: Skull Island toys introduce new Monsters from the film! Special thanks to Idle Hands for the information and images! What's interesting to note are the design of the Giant Spider (Which I would like to call Kumonga) and the introduction of the Pterodactylus! The Spider's head, like the Skullcrawler / Dino Monster resemble an actual skull - but the Pterodactylus has a very odd head design. Given that Kong: Skull Island acts as a prequel to the upcoming Godzilla seqiel, Godzilla: King of Monsters, it was expected that the film may make reference to some of the monsters which will feature in King of Monsters. The most obvious being Rodan - the Pterodactyl-like monster from the original Godzilla saga. Could these Pterodactylus act as a precursor to the mighty Rodan?! The figures are expected to hit shelves mid-February, so be sure to check back often for more updates as they arrive! 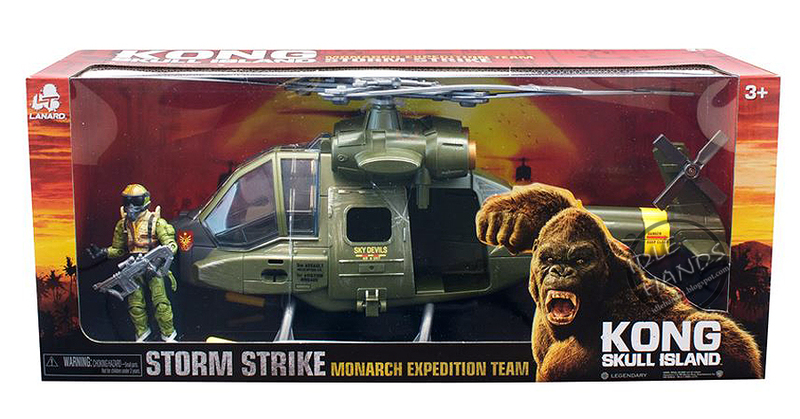 4 Fan responses to Kong: Skull Island toys introduce new Monsters from the film! I really hope they'll be a S.H. 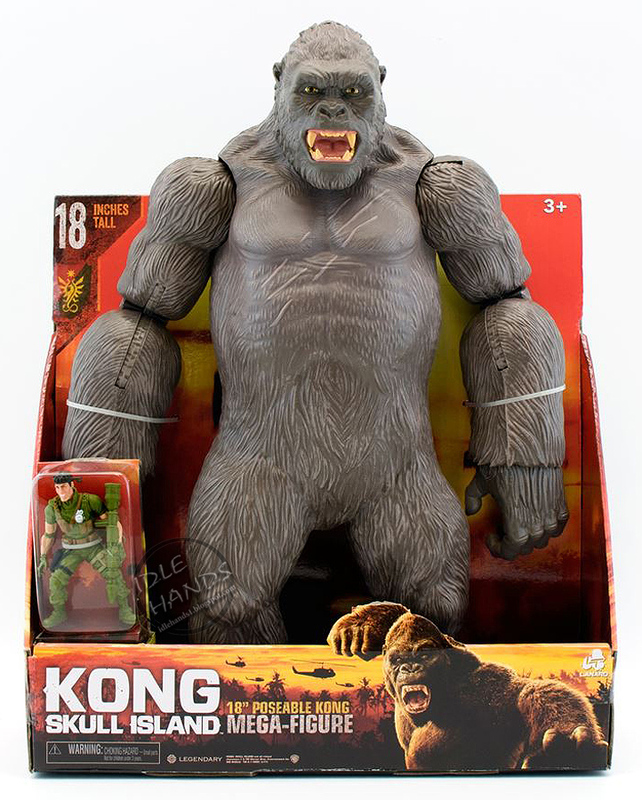 Monsterarts figure of Kong. I'm really digging these monster designs. Rather than just updated prehistoric creatures, Legendary is giving us some truly bizarre and otherworldy animals that fit perfectly in a universe where creatures like Godzilla and the M.U.T.O.s also exist. The Spider's head not only resembles a skull, but its legs look like human finger bones. 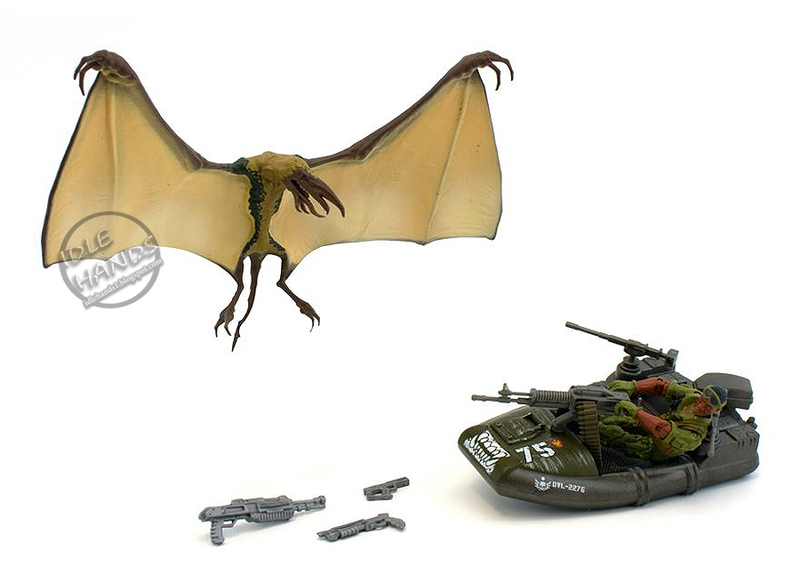 Then there's the Pterodactylus, a pterosaur with the head of Cthulhu. 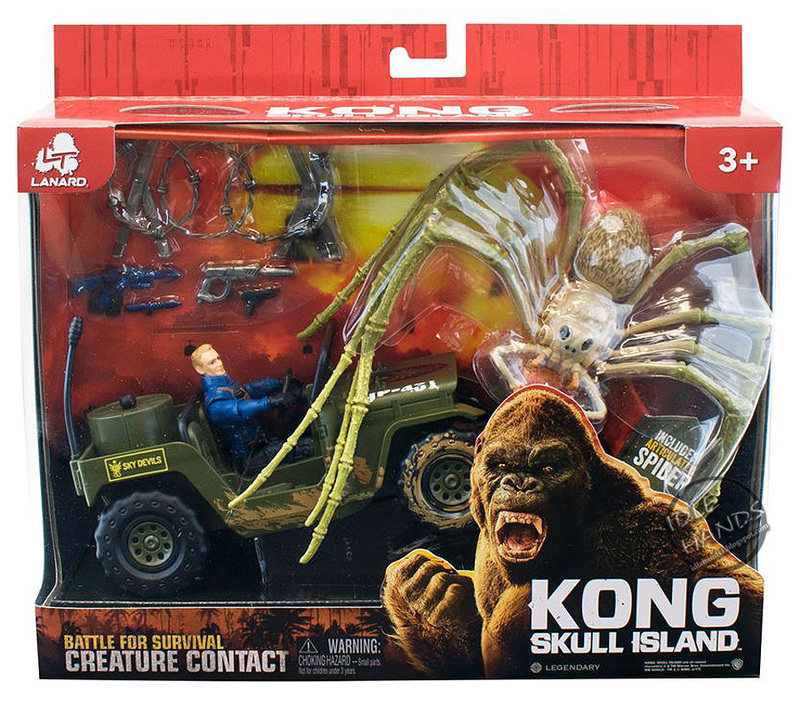 The Skullcrawler (or "Dino Monster") toy is interesting, because the trailers made it look like those creatures' legs are their forelimbs, while the figure makes them resemble hind limbs. Perhaps the Skullcrawlers vary somewhat in appearance. 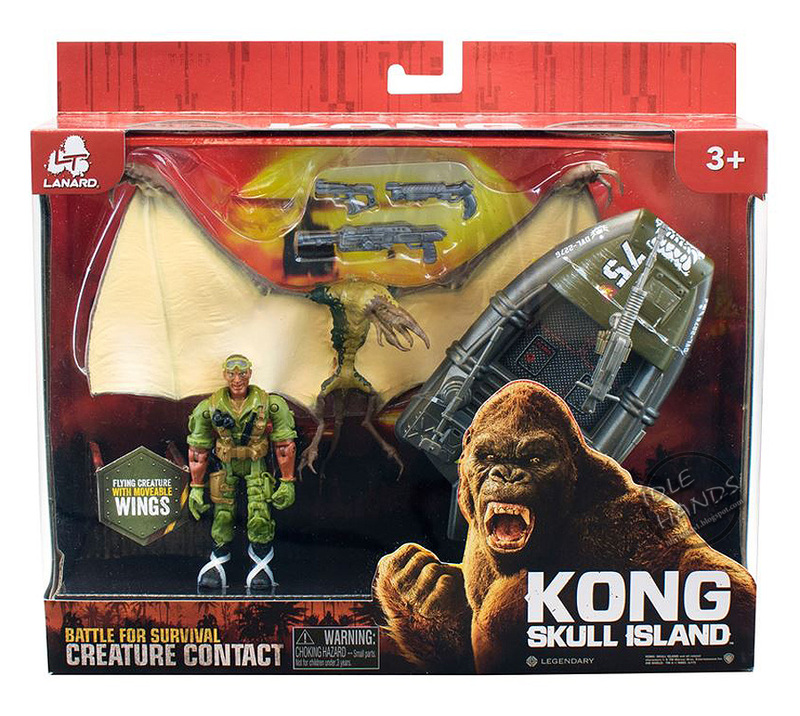 Either way, I'm getting more and more excited for this movie, and I'm expecting the new fauna of Skull Island to be very unique and refreshing. I'm not a fan of these toys. They aren't like the figures from G14. They look like children's toys. There is barely any scale and the articulation looks like crap. I'll have to see if S.H. 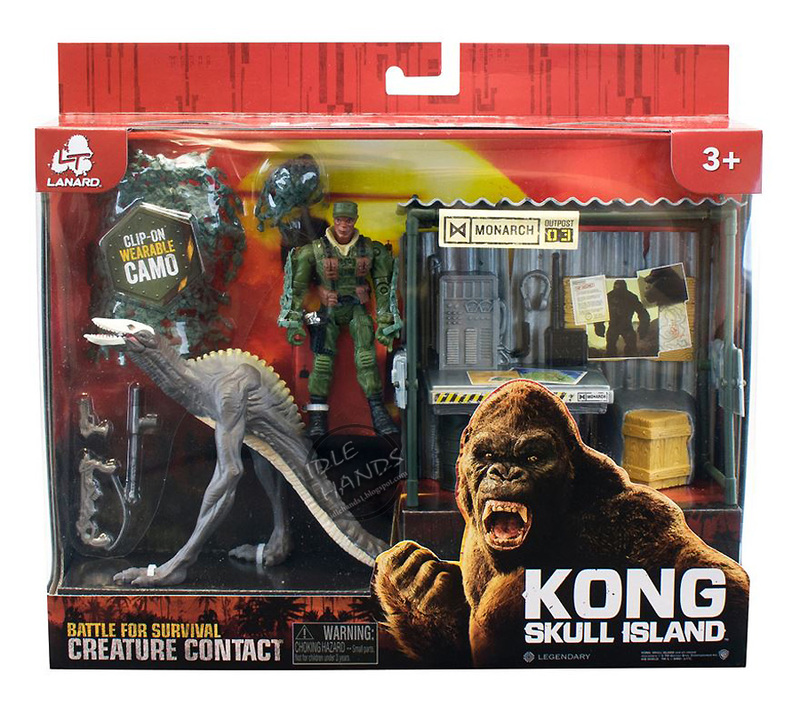 MonsterArts makes some Kong figures. 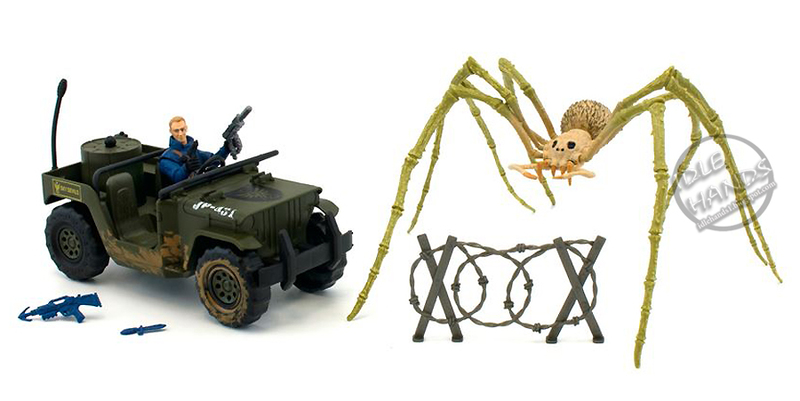 Based on the trailers, the skull crawlers look a lot bigger than they do on these toys. Based if the average human is 1.8 metes tall and the 2 legged skull crawler is almost the same height of the human, the skull crawler is about 2 meters tall. 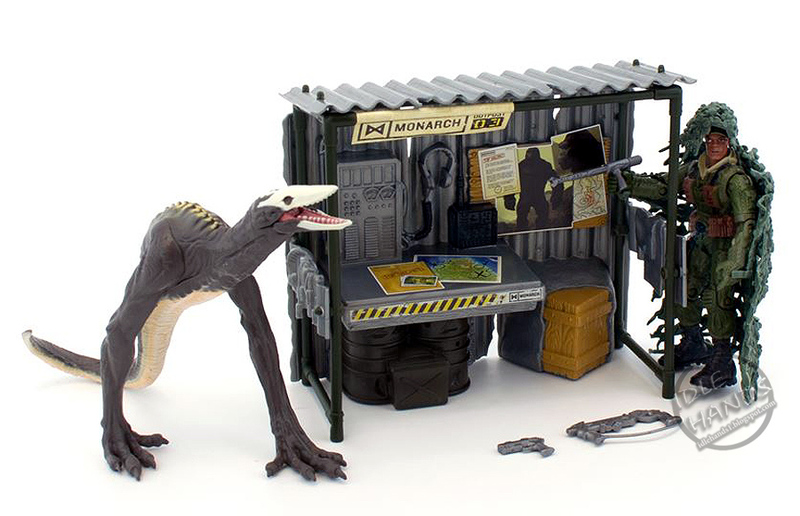 Samuel L Jackson is 6 foot 2 inches and the skull crawler figure is the same height as him so that means that the skull crawlers are small. I love the Skull Crawler designs but their toys do not do them justice. I wish Bandai had the license to their toys. I hope Bandai does the Godzilla vs Kong figures in 2020.